Our clients trust us. They trust in our skill, expertise and integrity. They trust in our passion and desire to deliver a product of luxury and quality, regardless of what the challenges are. They trust in our attention to detail, our design flair and our superior knowledge. Palazzo realise that the kitchen is the heart of your home, a once in a generation purchase. That’s why we will always ensure that dreams and aspirations for your bespoke kitchen are not only met but exceeded. What’s more, we work with pride, endeavour and a smile on our face. In the end, you’ll have the kitchen you’ve always dreamt of. That’s the Palazzo guarantee. Since 2003, Richard and his team at Richard Birch Gardens have been designing, building and maintaining beautiful gardens all over Glasgow. 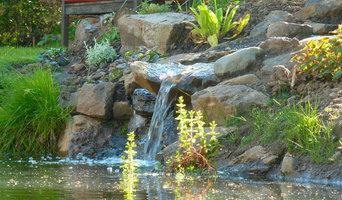 We use classic materials in modern settings combined with practical design, manageable planting & established horticultural techniques - to give you the garden of your dreams. All built to last. From first visit consultations and concept sketches to full garden surveys, we can take you through every stage of garden renovation. We can provide traditional 2D drawings or 3D CAD visualisation using Google SketchUp, planting plans, itemised quotations and project management services. We will walk you through every stage of identifying what you need and want for your property and then bring your dream garden to life! We are a small family run company offering bathroom and kitchen design and full installation to clients in the Glasgow, South Lanarkshire and surrounding areas. The company was established over 150 years ago and Kenneth had been with the company since leaving school. Over the years he has gained vast experience, a deep knowledge and understanding of the whole process from the design right through to the installation. This allows for an exciting project with reassurance that Kenneth and the team will take clients through the full project with confidence and customer satisfaction is always at the forefront. WEST Renovations are highly skilled and experienced property renovators and improvers. We carry out a wide range of works on all types of properties, from new builds to Victorian tenements and townhouses throughout Central Scotland and beyond. We specialize in Kitchen design, planning, supply* and installation. Our unique service includes everything from design and layout advice to procurement of materials to final fitting and paint finish. This allows our customers to deal with just one company for the duration of our projects. We endeavour to provide a solution, not fee driven service. All works are comprehensively project managed and are carried out by a dedicated team of seasoned professionals who take the utmost pride in the standard of their work. 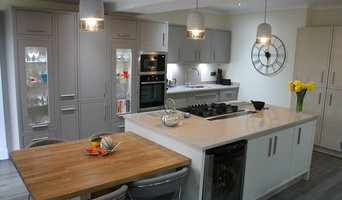 * Mereway and Trend Interiors Kitchen furniture. We supply a range of High Quality Breakfast Bar Stools and Chairs, which match, that we import from Italy, the home of stylish designer furniture. The chairs and stools can be upholstered in 20 colours of Real Premium Quality Leather or 29 Colours of Eco Leather, so there is bound to be a colour that matches or contrasts with your décor. Also there are up to 11 different bases for the chairs with different finishes AND 6 different bases for the bar stools. So to emphasise, you can take one seat and fit 11 chair bases Or 6 Bar Stool Bases to it. This is fantastic for open plan kitchen / dining areas, because you can have barstools and chairs which match exactly with each other. We have a new App which allows you to design the chair or bar stool that you fancy by changing the seat and/or the legs as well as the upholstery colour. <a rel="nofollow" target="_blank" href="http://www.seatingmyway.com/app/chairs">http://www.seatingmyway.com/app/chairs</a>. In addition we supply a range of Glass top Dining Tables, which are manufactured in Britain. The bases can be hardwood, with three different shades of stain, or stainless steel. The table tops can be Square, Round, Rectangular or Oval in Clear, White, Coloured or smoked Glass. The sizes range from a small bistro table for two up to custom built Board Room Tables to seat 12 or more. With 25 years of experience in domestic and commercial interior fit-out projects, Glenlith Interiors (Scotland) have a wonderful team of time served fitters and craftsmen. 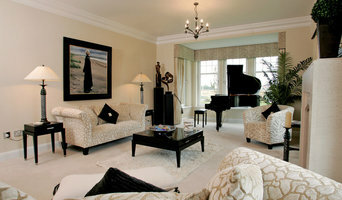 Glenlith Interiors have an enviable reputation for high quality workmanship, competitive pricing and reliable service in Glasgow, Edinburgh and throughout Scotland. As a company we design, renovate and remodel kitchens and bathrooms, as well as total interior fit outs and renovations for any dwelling or commercial premises across Scotland. With the backing of in excess of 40 years experience in residential construction and refurbishment, we take pride in every project we undertake. From construction of new homes and extensions to refurbishment and conversion, you can rest assured your project will be managed by experienced and qualified Construction Professionals from inception to completion. Recently we have undertaken things from renovations of family homes with the installation of new bathrooms & kitchens and assisting in the renovations of bars & leisure centres. We have also recently completed the construction of two bespoke holiday homes in Perthshire. We would love the opportunity to talk to you regarding any project you have to complete, no mater how small, we will be able to advise you if we can complete your project with you. Staveley Developments Ltd provide full design and construction solutions to suit a comprehensive range of needs and requirements. We are a small, family run business with a close team. We hope to complete every job to exceed our client's expectations. Contact us today for your free quotation! We offer contemporary, customisable Danish designed furniture & accessories as well as a full interior design service including home visit and 3D drawings to visualise how your project will look. We offer installation throughout Scotland. At BoConcept, we have a strong set of beliefs that run through everything we do. In our design. In the respect of our Danish legacy. In all the 60 countries where you can meet us. And in our relationship with you. Award winning Interior Design studio. We are committed to creating exceptional interiors that combine design and creativity with an outstanding quality of material and attention to detail. Our design studio in Glasgow has developed into a provider of specialised and high-end interior design. Emily Fotheringham Murray designs each project personally, then under the supervision of the design team, the project is managed from conception to completion. Emily provides a personalised and relaxed service to all her clients and with the design team on hand, Fotheringham Interiors make conception to reality as seamless an experience as possible. Our fully qualified team can manage all aspects of interior design, architecture and project management. At MyHouseDesign, a boutique interior design company, we believe in creating unique, beautiful spaces in a friendly yet professional manner. MyHouseDesign was born out of, founder, Julia Hoffman's love of all things stylish- from interiors, to fashion and art. She is always looking out for ways to make a space unique- whether that's use of colour, a piece of furniture or beautiful artwork. Julia loves creating spaces which balance fitting the homeowners needs for the space & personal style, whilst being a quirky space, they would never have thought of creating and will be proud of for years to come. Julia is passionate about breathing new life into full, residential homes. For her, creating a flow within a home, with interest in each room, whilst everything still works together is truly satisfying. Contact MyHouseDesign today to discuss how we can help you start making the most of your home today. Get ready to soak in luxury. Follow Bagnodesign Scotland for the latest industry insights and tips in bathroom design. 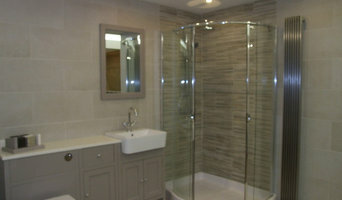 Bagnodesign Scotland design, supply and install the highest quality designer bathrooms. Our award winning team of design experts are on hand to create a bathroom solution, regardless of budget, that will exceed all expectations. Reach out to multiple professionals — especially for larger projects — and don't settle for the first quote you receive. Comparing multiple Glasgow, Glasgow City professionals' quotes and experiences can help you find the one that’s best for you. Ask a lot of questions now, so you won't have unexpected answers later. Find a home design professional on Houzz. Narrow down your search by type of professional and location. 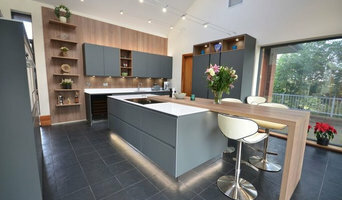 Browse Glasgow, Glasgow City portfolio photos, read client reviews and contact each home improvement professional for more information. Check out the information in the specialised professional sections too for tips on how to hire the right professional for your project.